What is a Per Item Price Level Table? 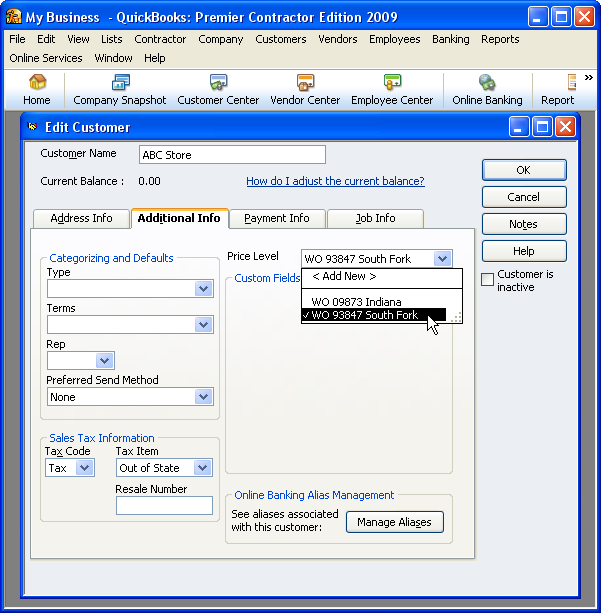 This tutorial provides copy and paste code that imports the Price Level Per Item (or Per Item Price Level) table from QuickBooks using QODBC. 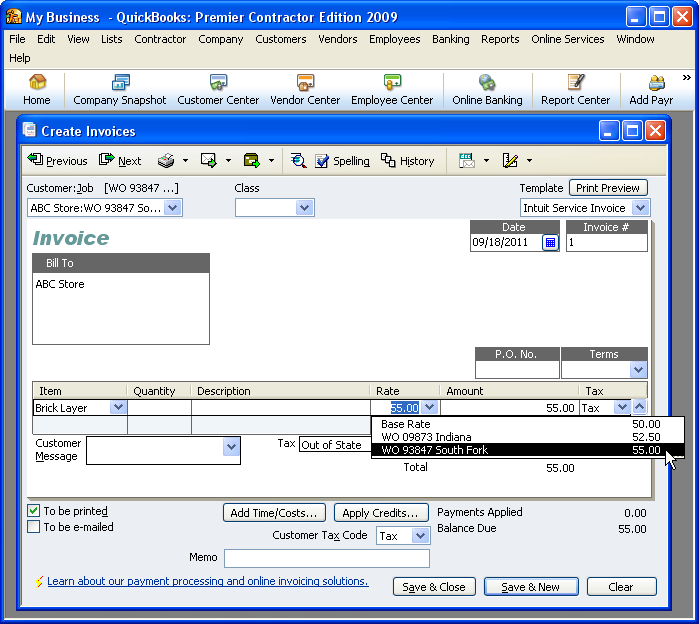 QODBC lets users read and write QuickBooks data from Microsoft Access using VBA (Visual Basic for Applications). 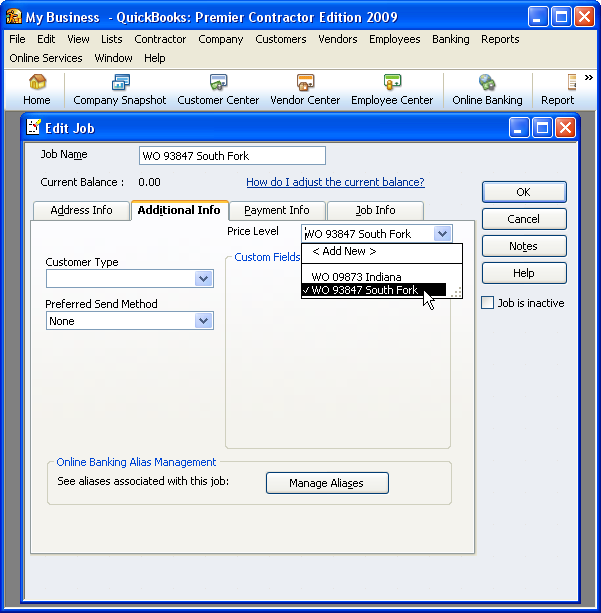 QODBC stands for QuickBooks Open Database Connection. 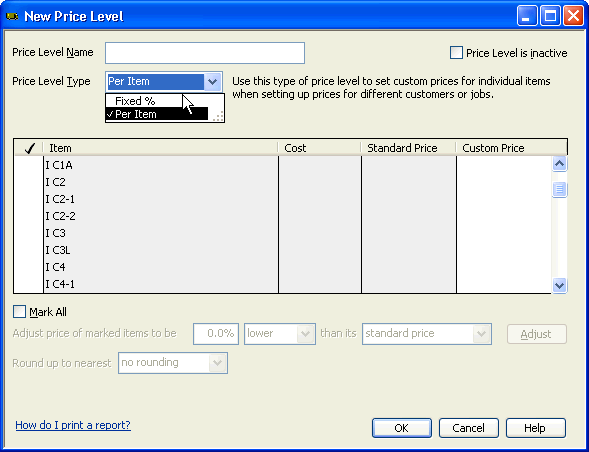 To create a Per Item Price Level, select Per Item from the Price Level window. You may do this either through editing an existing Price Level or when creating a new one. What is a Price Level Per Item Table? 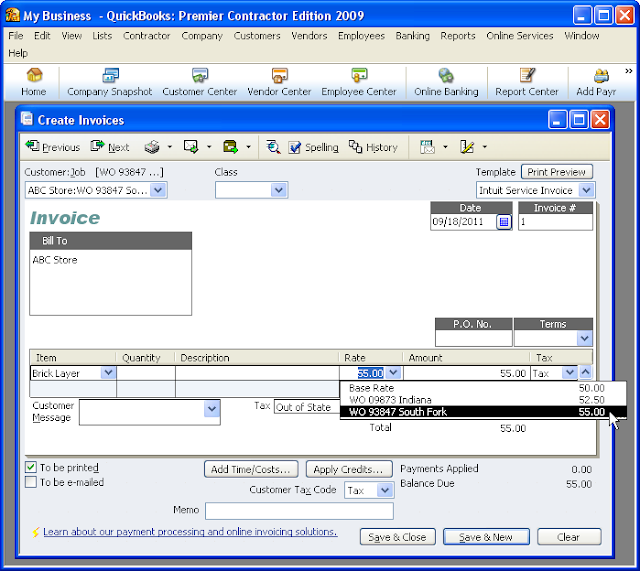 QuickBooks provides access to multiple Price Levels. Contractors generally use this function for contracts. Contractors who bid work generally bid different prices for each unit depending on the job. Awarded jobs are then added to QuickBooks and the prices entered. For example, a contractor may have a unit named N VP1.01 that is installed on most jobs. However, prices for this item may vary from job to job due to location, difficulty and other factors. Therefore, the unit price for N VP1.01 changes for each job. You may create queries and reports comparing price levels against each other. You may use the Microsoft Access Conditional Formatting function to highlight the highest and lowest prices on each item line. You may think of additional reasons.